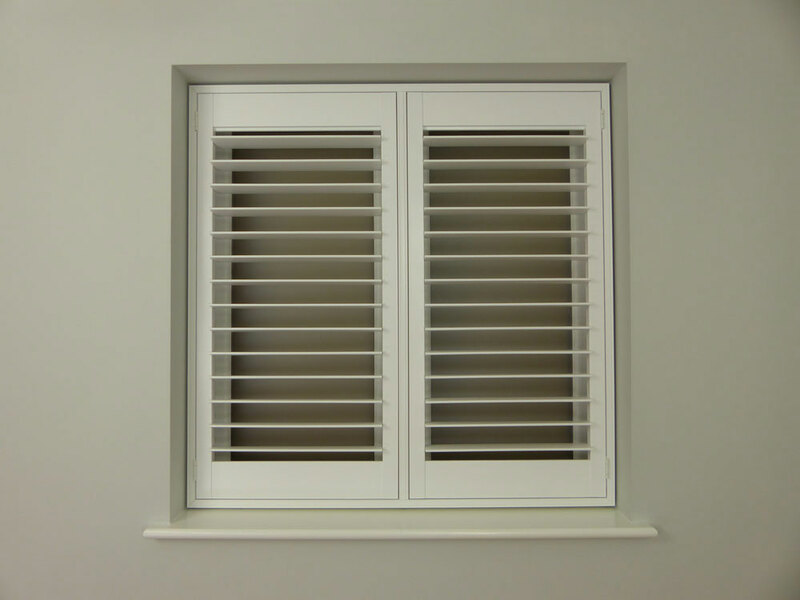 The preferred and modern way to control you louvres is with the hidden tilt mechanism, also known as silent tilt. The louvres are connected together by a clever mechanism hidden within the side stile of the panel. (There are no metal rods at the back of the shutter as found on cheaper versions) Tilting the louvre blades is done by moving one or two blades by hand, this will tilt all the louvres within that section. Shutters over the height of approx. 1400mm will need to have the hidden tilt mechanism split. 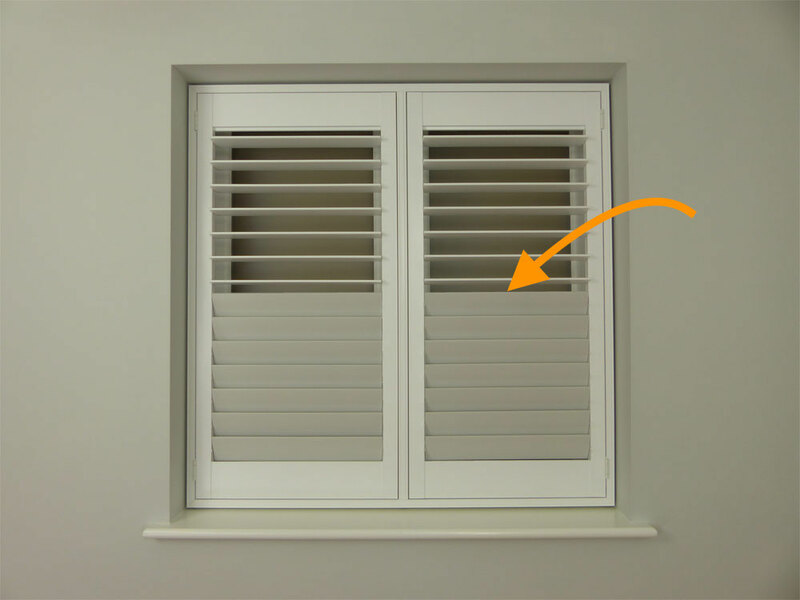 You do not visually see the split but it allows you to operate the louvres independently either side of the split providing extra privacy options. The centre control rod or push rod is the rounded rod running vertically up the middle of the shutter connecting the louvre blades. It is used to tilt the louvre blades up and down in unison. It’s 11.5mm wide x 16mm deep with a round top and is connected to the louvre blades by high grade micro barbed stainless steel staples. These staples are longer than most, they are capped with a friction activated adhesive, use barbed technology and are set at a precise angle so they don’t come loose. You can choose to offset the control rods from the centre of the plantation shutter to the left or right. This allows a clearer view when louvres are open. Used mainly for shapes to allow more of the louvre blades to be operated. The control rod will be set 25mm from the edge of the louvre blades on each shutter. 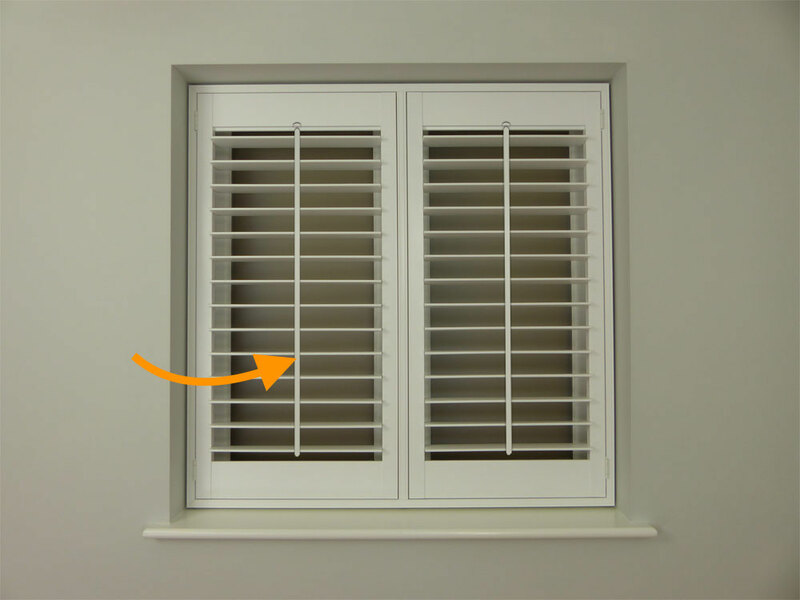 When you have a fan top shutter the louvres can be operated individually or with a curved control rod. 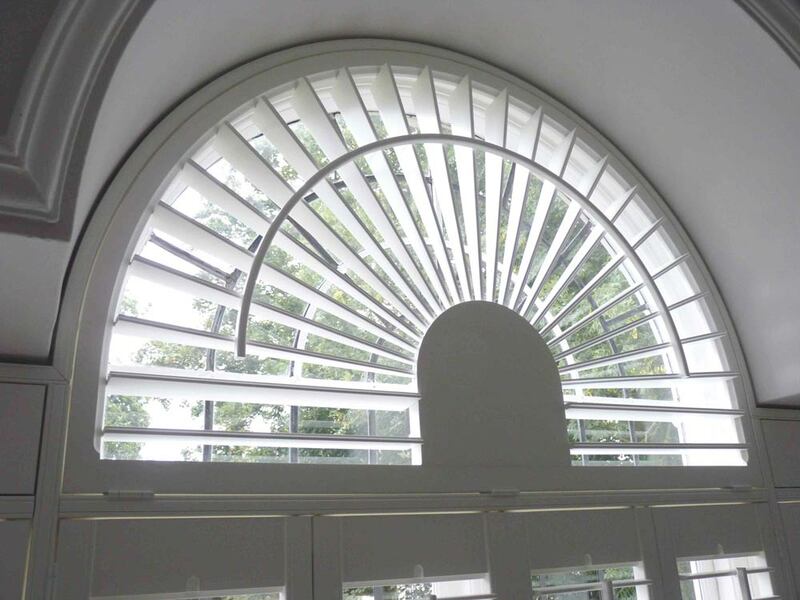 The curved rod creates a lovely smooth way to open and close the louvres. When you move the rod it controls all the louvres connected to it, this is a chargeable option.